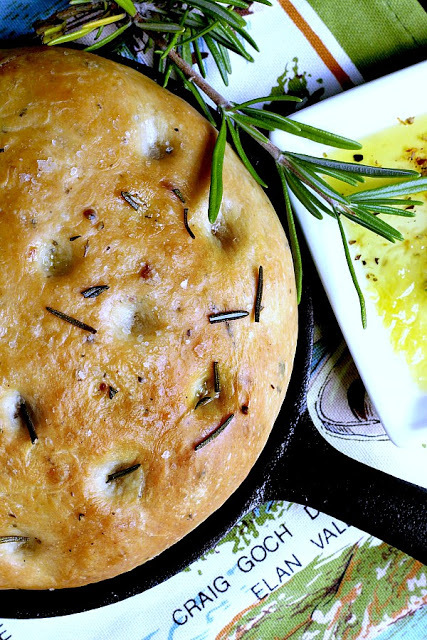 Rosemary Focaccia is totally irresistible. Warm from the oven, dipped in olive oil or sliced for a sandwich, this Italian yeast bread will make you happy. Focaccia, pronounced “fuh-KA-cha,” is a type of Italian yeast bread. 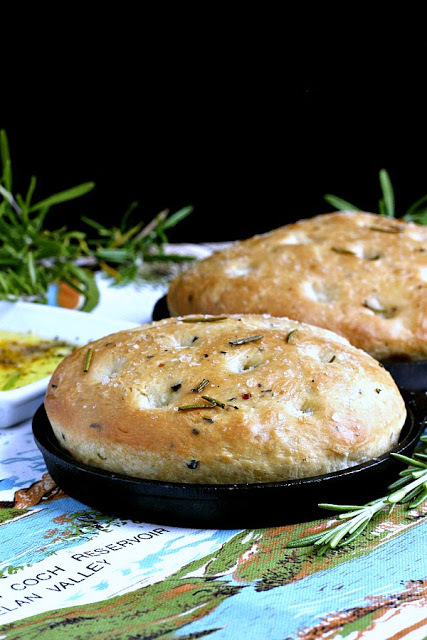 The dough is flavored with olive oil and topped with herbs. If you have visited here before you know how much I love my bread machine. I simply add the ingredients to the pan, and the machine does just the right amount of mixing, kneading and proofing. When it is finished I have a lovely dough ready to make rosemary focaccia. 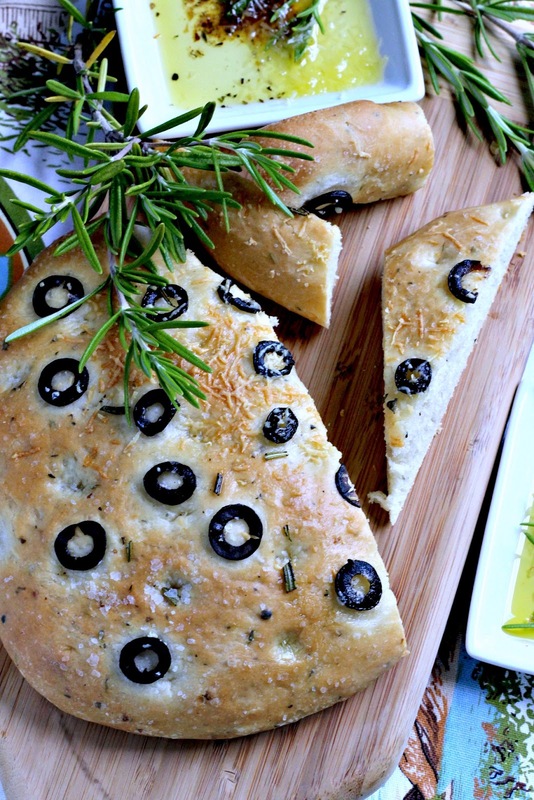 Focaccia is a flatbread a little like the dough for conventional pizza. The difference is that the dough for focaccia is proofed for a much longer period of time whereas pizza dough is usually baked shortly after the dough has been tossed or rolled resulting in a thinner, flat and more flexible crust. 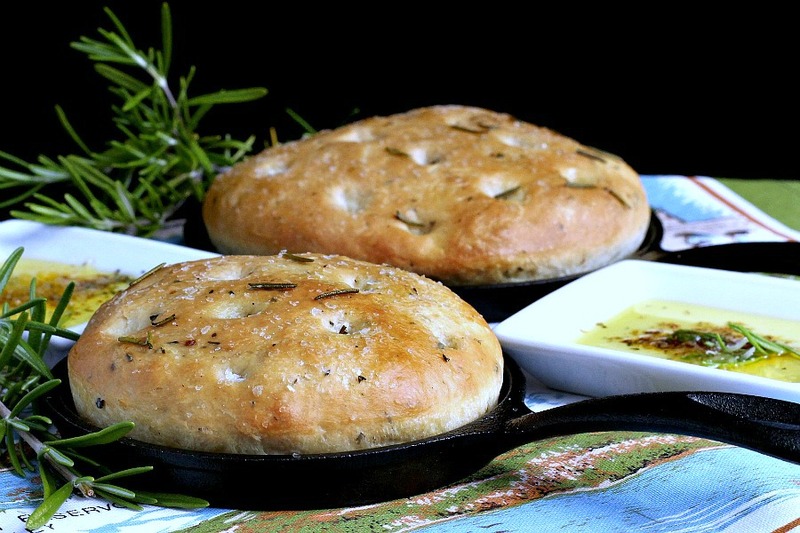 Focaccia is usually pressed or rolled out in a rectangular pan. I have done it that way before but as you can see here, I divided the dough and baked part of it in small cast iron skillets. The third section of dough I simply formed into a disk and baked on a round pizza pan. A slight adjustment of baking times, and you can be creative. Top the focaccia dough as you please. 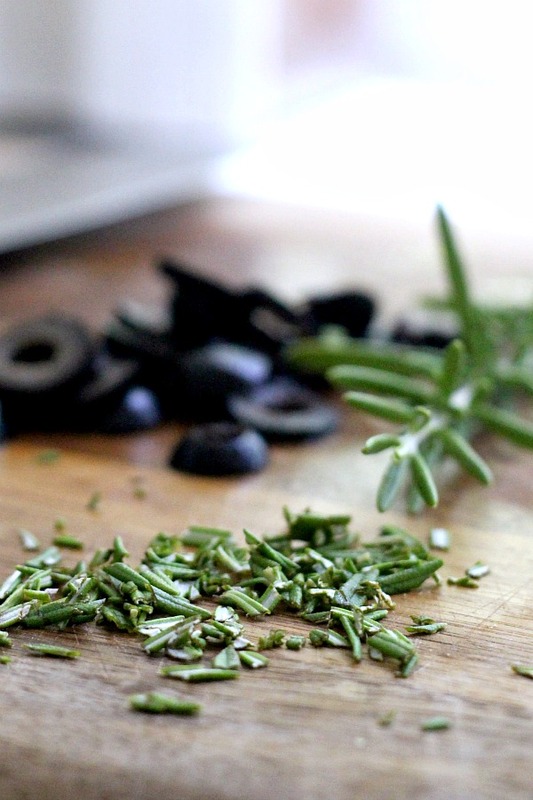 Sliced olives, coarse salt and herbs are what I used. 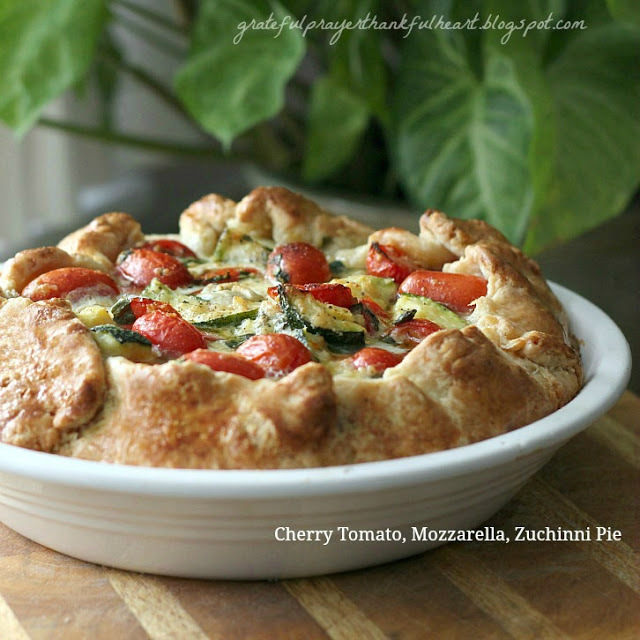 Other common toppings include mushrooms, green onions or tomatoes. I sprinkled Parmesan cheese onto a section of the dough prior to baking hoping it would not burn. It was very good. 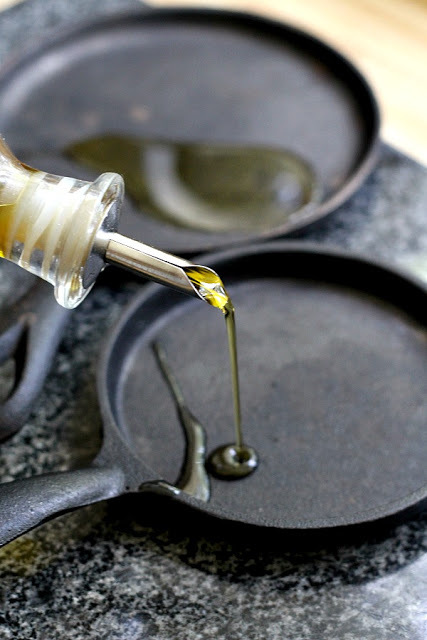 If you aren’t serving a dipping oil on the side, after baking, drizzle a generous amount of olive oil on the top, filling the little dimpled indentations. 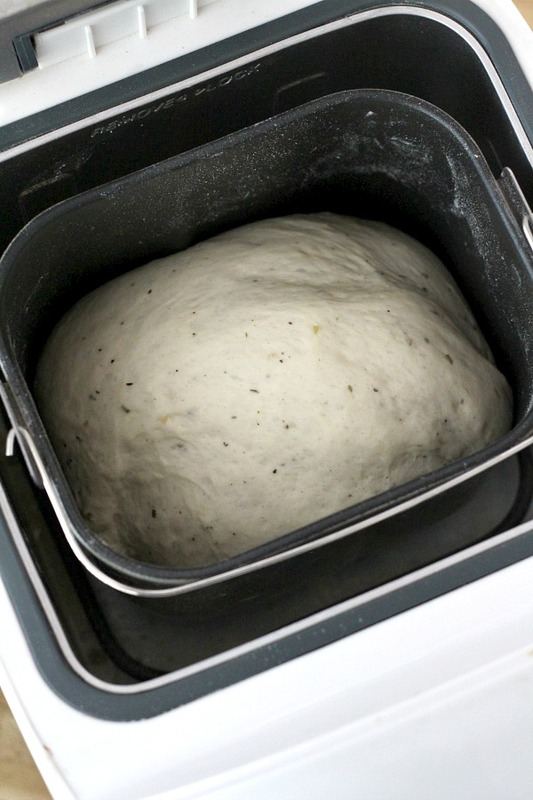 Add ingredients to the pan of the bread machine and select dough cycle. Press start and allow the machine to do its thing. This is what the dough will look like at the end of the cycle. Place the dough from the bread machine onto a lightly oiled work surface and knead a few times. Because I wanted to see how the focaccia would bake in a cast iron skillet, I estimated and cut the dough into pieces I thought would fit. You can just bake your bread on a rectangular pan with low sides. Whatever you bake your bread in, you will want to brush it with olive oil before adding the dough. These little cast iron pans came with some packaged holiday baking mix and they are small and cute. 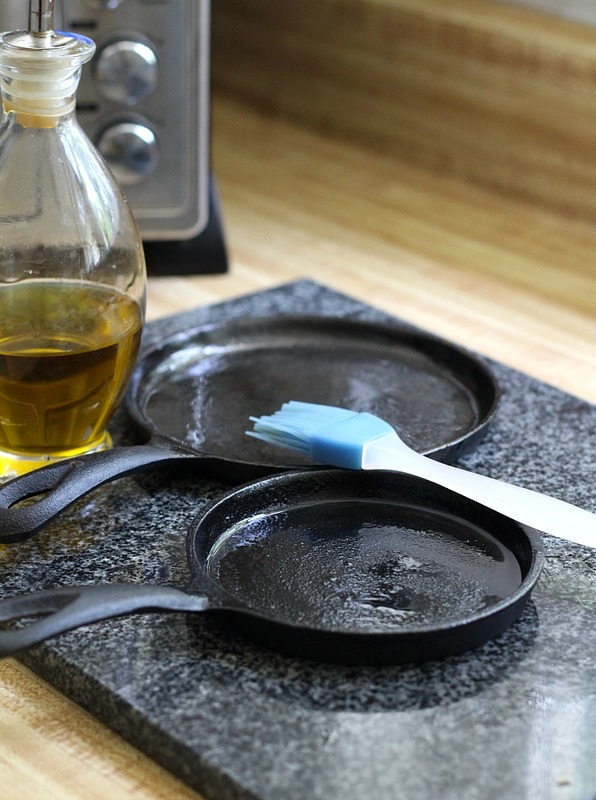 Place the dough into lightly oiled pan(s) of choice. Cover and allow the dough to rise for about 1 hour. See how nicely the dough has puffed up. 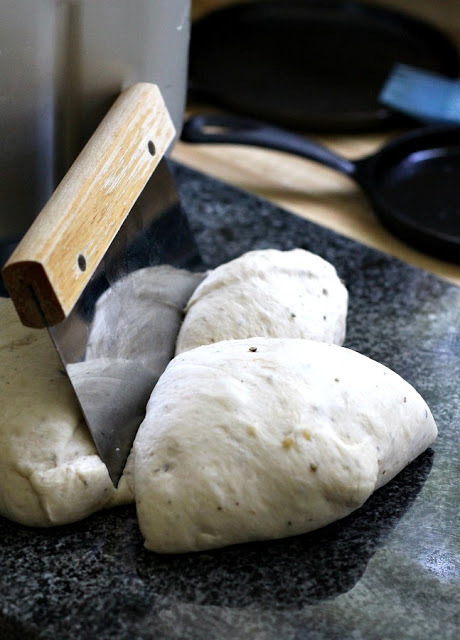 Using the end of a wooden spoon or your fingers, press indentations into the dough but not all the way to bottom. You can press the indentations into the dough prior to rising but they will not be as pronounced. Lightly brush the top with additional olive oil and sprinkle on salt and fresh rosemary. Place all of the ingredients into the pan of the bread machine. Select the dough setting and press start. When dough is finished, remove from the machine. Roll it out or press into a lightly oiled rectangular pan. 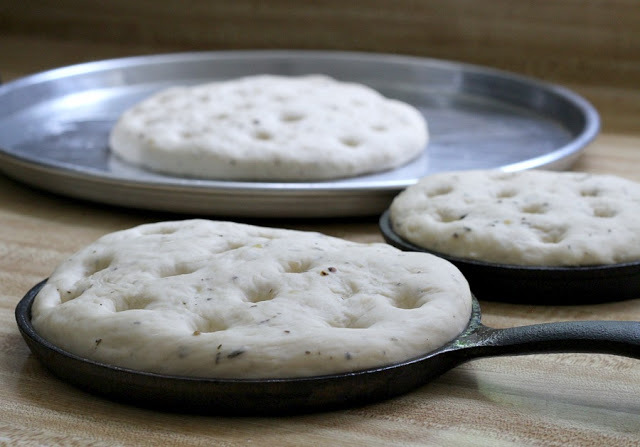 If you prefer, divide the dough, form into a disk and place in an oiled pan or cast iron skillet. 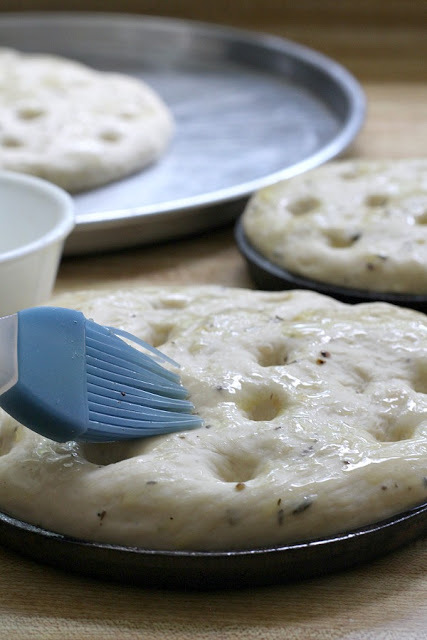 Using your fingertips or the end of a wooden spoon, make indentations in the dough, about an inch apart. Cover the pan(s) loosely with a towel or plastic wrap and let rise for about an hour or until puffy. 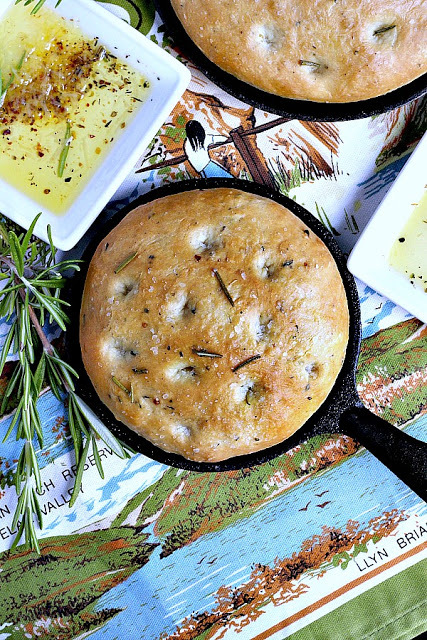 Lightly brush the top of the focaccia with olive oil; sprinkle with salt and rosemary leaves. If you enjoyed this post, you’ll love my weekly email. Subscribe to have updates delivered to your inbox and receive Freebies available exclusively for subscribers. Don’t miss new recipes, DIY, crafts and ideas to inspire and encourage you. Join our community. Click subscribe button below. You have inspired my to pull out the stored bread machine. Thank you! Sounds so tasty. 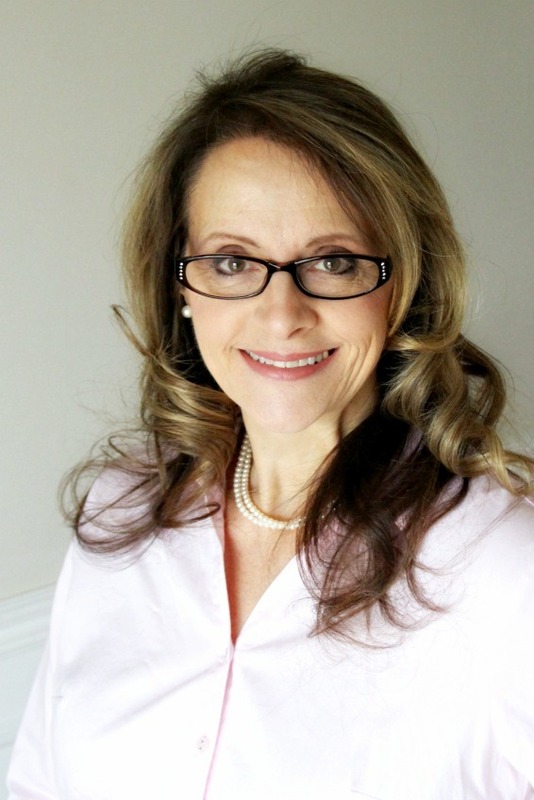 I shared your link with friend, Linda.